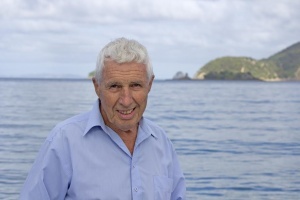 Guest Bio: John Croft has a unique mixture of skills, talents and qualifications, which has enabled him to help build, the marine nutraceutical industry in New Zealand. John Croft is regarded as one of the world’s leading experts on the life cycle, farming methods and therapeutic uses of marine extracts, including the remarkable New Zealand native shellfish, green lipped mussel. He is the author of five books, all of which have been very supportive of biotechnology: Life in the Sea; Relief from Arthritis: Deep Sea Shark Liver Oil; Health from the Sea, Freedom from Disease, Arthritis and Aging, A Solution from the Sea. John writes in a format that takes academic research and repackages it for public consumption; the same applies to his lectures. John’s career started out in the British merchant marine, where he spent 10 years at sea, three of which as a ship’s captain. In 1958, John took on the job as mate and master of a fishery patrol vessel operated by the British government, charged with investigating the effects of pollution from estuaries on marine life. Segment overview: In today’s Health Supplier Segment, we welcome returning guest John Croft who is here to share more of his wisdom when it comes to marine medicine specifically the Green Lipped Mussel which is native and grown only in New Zealand. It has been proven thru research that the TGA-approved green-lipped mussel extract has therapeutic uses that can assist with osteoarthritis and rheumatism symptom relief. The Green Lipped Mussel Extract is approved in Australia for providing compounds that can help to manage osteoarthritis and rheumatism; helping to reduce arthritic joint pain and inflammation; helping to improve arthritic joint mobility and reduce stiffness; and supporting healthy cartilage and connective tissue function. Wayne Bucklar: You’re listening to Health Professional Radio with Wayne Bucklar. My guest today joins me from New Zealand. 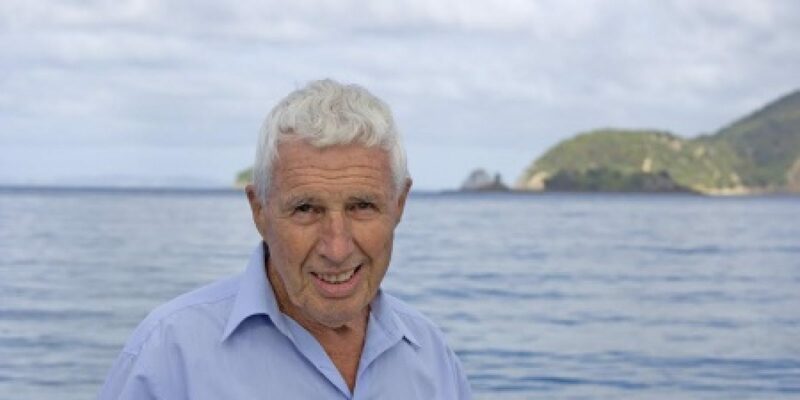 John Croft is a marine scientist and a consultant and John’s just written his sixth book and we’re going to have a chat to him about both the book and his insights into why the ocean is such a source for this sort of material. John welcome to Health Professional Radio. John Croft: Thank you Wayne. Yep, happy to be here. W: Now John you’ve been involved in this sort of research for a long, long time. Fill us in a bit on your background? J: My background started way, way back in 1949 when I went away in the British merchant marine as an apprentice to learn how to be a ship’s captain. And having spent quite a lot of years at where sea all over the world and eventually becoming a ship’s captain, decided that… we’re always away from home. So I went got married and had a little daughter, I didn’t want to be away all the time. So I studied science and then went to the university to qualify in science in order to get to shore, to have a job at shore. And I picked the science of the sea because it seemed appropriate. W: And clearly science and the sea have been a major theme in your life ever since. J: Well they have, yeah. I came to New Zealand in 1972 march of 72 to take up a scientific position, of course I have been here ever since and as I mentioned in another interview, serendipity played a great part. And I happened to get a job for which both of those qualifications were ideal. And it’s turned out to be very fortunate so that I’m still involved in research and consultancy work on the therapeutic benefits of things from the sea. W: Now in that therapeutic field John, I know that green-lipped mussels are close to your heart. So tell us a little bit about the green-lipped mussel. J: The green-lipped mussel is what I started on here in New Zealand when it was discovered by scientists in the US so as it happened that the discovery, that it has significant anti-inflammatory properties if it was processed correctly. And so that’s where we began and I worked again with Auckland University and then with several hospitals and scientific institutions around the world, demonstrating that and having clinical trials done. And then more recently, and the reason for my latest book is that we discovered that it actually also has the property of inhibiting the degenerative processes that take place in people’s joints – both with osteoarthritis and chronic rheumatoid arthritis. But also just simply with aging without any disease being present, just getting old will do this. W: I was talking to another researcher recently who put forward the view that aging was just a long term inflammatory process. J: Well yes, he’s right. The inflammation is not caused by a disease as it is in younger years, but it is caused by the effects of aging. I mean, I think most people realize that when you get older things start to function less efficiently – mental, health and our physical health and cardiovascular health etc. However with the right approach to physical health and mental health on the ‘use it or lose it’ basis there is no need for this to accelerate. You can slow it down and still enjoy quality of life in senior years. And that’s exactly what is happening to me, I still have quality of life. W: Now when you say you’re in your senior years John, I know the answer to this question before I asked you, but I’d like it to come from you. Just how many years are we talking here? J: Right. I’m currently 83, but this year now I would become 84 half way through the year, so yeah 84 years. And I’m fit, healthy, well and working and I’m very, very grateful for it Wayne. W: Well you’ve got some built-in credibility just in being 84 in my eyes. But speaking of credibility, from time to time when we talk about let’s call natural medicine or substances, we get a bit of criticism that there’s a bit of voodoo and bit of witchcraft here. But I noticed that the green-lipped mussel extract is TGA approved, that’s got lend some credibility to it. J: Well yes, absolutely. Now it’s also have a number of about 7 clinical trials at which 7 positive ones and there had been 2 or 3 non-positive ones as well. J: And these have been done in the same way that trials on therapeutic drugs, pharmaceutical drugs are done. More recently in the last few years there’s been a lot of discussion in medical circles about the application of trials to natural substances. Because some trials are not appropriate for natural substances that are complex, in another words they have quite a lot of components in them as opposed to one synthesized chemical component that can be much more easily demonstrated to have activity and no activity. Well the medical profession that has recognized that not being successful in the clinical trial designed for drugs does not mean a natural product is not successful and this has been a major leap forward. W: Yes. Now john does an element of processing in the green-lipped mussel for therapeutic use is important as well, isn’t there? J: It is 100% important Wayne. And this element of processing begins the minute those mussels are removed from the farm, taken out of the water. Because they go into shock just as we would if we were put in the water. J: When you go into shock, different processes happen in the body. J: And then the mussels, the enzymes begin to work and de-nature the bioactive components that gives its therapeutic properties. And the rest you control that and you don’t control it by freezing it, unless you control it, then you’re going to lose these properties. The worry for me is that there are products out there that haven’t have this control but the powder that is made from the mussel looks the same, smells the same, taste the same but it doesn’t do what the green-lipped mussel does if it’s been processed correctly. J: And the person that’s buying it can’t know, even sometimes the pharmacist selling it can’t know. W: Yes. And how do you get control around that in your work John? Is there one brand or one particular product that you can confidently say has all done the right way? Or how does someone looking to buy this, how do they go about it? J: Well they have to go and the only way is to ask for a brand. And I’m sorry this sounds commercial but the only way it can be done is by requesting a specific brand and this is the one we’ve worked on it for 43 years. And we’ve got all the scientific research, a lot of it has been published to prove and get credibility to what it does. And it’s the product in Australia, it’s produced by Wagner. The company call Wagner, sold in pharmacies and health outlets. But it’s produced by “Wagner,” Wagner green-lipped mussel. That is a genuine one and it has the backup and the credibility. W: And if we’re going the whole hog commercially, let’s make it clear. So it’s Wagner W A G N E R green-lipped mussel extract, is that what it’s called? W: And what’s it’s called elsewhere in the world John? J: In some countries it’s called “Seatone,” in other countries New Zealand for example it’s called “Biolane” seatone, in the UK Seatone, in Asia I’ve just forgotten them, my mind got bounded have a different name in Asia, aand in Japan another name. And but they all go by the branding. W: So Seatone is spelled? J: S E A T O N E. But in Australia this is Seatone and it’s not the same product unfortunately. W: Ah right. It does get confusing, doesn’t it? W: So for our Australian listeners it’s Wagner. And for listeners elsewhere in the world Seatone, S E A T O N E and it’s a green-lipped mussel. W: Biolane, B I O L A N E. At least now we’ve given people a definite point in the right direction. And John you’ve published your latest work in your sixth book “Arthritis and Aging, a solution from the sea.” Why is it that so much of this stuff comes from the sea? J: For the omega-3 fatty acids. J: Now this, I was being brought up on fish oil in the 1930’s. And we didn’t know what it did and how it did it but we knew that our grandparents used this and our parents used it to help them prevent getting colds and flu and that sort of thing. W: A table spoon of cod liver oil everyday. J: I shouldn’t we say ‘bloody awful’ I’m sorry but it is. It’s horrible like that, but you can take it now in capsules and I do, I still do. And it helps the immune system. There are other things, there is the “chitin” that you get from shells, shellfish, it also comes from squid and octopus and that can make a compound called “chitosan” which is quite amazing for lowering cholesterol inhibiting a terrible disease called atherosclerosis which is basically hardening of the arteries and causing people to get thrombosis and a lot of heart attacks and things like that. There are things coming from cone shells off the California Coast that they’re using cancer treatment. Things that I’ve been working with that come from other oils from the marine environment, from organisms that are angiogenesis inhibitors, these are used in cancer to inhibit the progression of tumors, and they slow down tumor growth. And we’ve got all the mechanisms, I can explain exactly how they work, but not in a few minutes on the radio. So there are numerous things. W: And we are running a short on time. It is fascinating John and we need to have another conversation on another day and just talk about in more general terms why the ocean is such a significant source of pharmaceuticals and nutraceutical products. J: Exactly. And why it regulates our atmosphere. It’s our global blood circulation if you like, the temperature should be skewed out of all control if there is no ocean, regulates the atmospheric gases and produces amazing numbers of therapeutic substances now. W: John we are out of time, but I do thank you for your time. If you just missed my conversation with John Croft and our discussion about green-lipped mussel extract, the good news is we do have a transcript on our website. We also have an audio archive both SoundCloud and YouTube. And you can find links to all of those on the Health Professional Radio website at www.hpr.fm. John thank you for your time and I look forward to chatting with you again. J: Yeah, I love it. Thank you Wayne. I just love it when somebody like your is interested, it’s great. W: Our pleasure. and many of our listeners are interested as well. You’re listening to Wayne Bucklar, this is Health Professional Radio.